I adopted Boomer towards the end of vet school. I fed him all the suggested foods and thought he was perfectly healthy. Then, when he was two years old, he developed diarrhea. He had diarrhea for TWO YEARS! I worked with seven other vets at the time. Nothing helped. I tried antibiotics, diet changes (including grain free), steroids and more. Finally, out of sheer desperation, I switched him to a raw diet. His diarrhea was gone in two days. It took two more years to restore gut health and heal him completely. In that time frame, he flared easily and it would sometimes take some time to get under control again. But we saw slow improvement. His monthly ear infections and constant licking also began to disappear. He taught me a lot of lessons about diet and how to restore gut health. Lessons that I use on many patients today. I’ll be blunt – there are many vets out there who disagree with me on this. Many argue that dogs and cats can process grains just fine. However, just because they CAN digest them, does that mean they SHOULD? 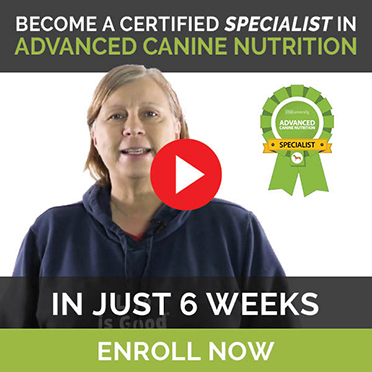 In my own experience, in every case where I’ve cut the grains out of a dog’s diet I’ve seen at least some level of improvement. It’s true that you can find studies out there showing that corn is a good source of protein for dogs. But is it really a better protein source than meat? There are also lots of human studies showing that grains cause inflammation throughout the body. Often, just like in Boomer’s case, I see a lot of improvement. So, cut out those grains. The one other thing I’d like to mention is simple but not obvious. When we eat grains, we have a constant level of inflammation in our gut. That inflammation goes away when we eliminate them. The result is that your pup will be MORE reactive to grains, not less. The reaction from one single bite is amplified since the inflammation isn’t there to mute it. So what if your pup is at all sensitive to grains? Once you pull them, the reaction may be even MORE dramatic if they sneak the kid’s food, not less. Probiotics are the good bacteria that live in our bodies, keeping our guts healthy. Inflammation kills these bacteria and leads to problems such as diarrhea and constipation. But did you know that studies in the human world have also linked gut health to things such as skin health? These bacteria are responsible for so much more than good poop. They keep the rest of our bodies healthy as well. Probiotics in general are becoming more well known and used. However, there are different types of probiotic bacteria. And they come in different forms. For example, I originally started Boomer on a powdered probiotic. These usually work great for most dogs, but it immediately made the diarrhea worse. Apparently he was allergic to something in that brand. So I switched to whole fat plain yogurt which worked a little bit. I find that yogurt works very well for dogs with more mild issues. I tried a gel probiotic that didn’t work at all. I finally settled on a brand of probiotics with digestive enzymes. The enzymes help him digest his food, and that made a huge difference and didn’t cause any other problems. I’ve since started many dogs on that brand with good results. So get your pup on probiotics, and don’t be afraid to try different ones. Raw goat milk – buy organic and feed it daily according to body weight. 2 oz for dogs up to 20 lbs, 4 oz for 20 to 50 lbs, over 50 lbs give 6 oz. Kefir – buy organic (make sure it’s unsweetend) or make your own. You can use water or even coconut milk. Give 1/4 cup per 25 lbs of body weight daily. Along with adding probiotics to your pup’s diet, you also want to consider adding prebiotics. Prebiotics are a source of food for those beneficial bacteria. My favorite sources are bananas and dandelion greens. You dog’s intestines are pretty miraculous organs. Well, really, his entire body is pretty amazing. But let’s focus right now on the intestines as they have massive implications on the health of the entire body. The intestines break down food so the body can absorb needed nutrients. At the same time, the junk waits inside the gut to be passed as waste material. The walls of the intestines ensure that good things (water and nutrients) are used by the body. The bad things (toxins and pathogens) get stuck in the intestines until they’re tossed. [Related] Leaky Gut may be causing allergies. Find out more about it here. However, inflammation creates gaps between the individual cells lining the walls. This is known as Leaky Gut Syndrome. These gaps allow toxins and pathogens to leak and escape the intestines. There, they cause inflammation in other parts of the body. This can lead to problems such as asthma and skin rashes, joint pain, thyroid conditions and more. Along with helping boost fur and nail strength, gelatin can help heal some of those gaps. This creates a healthier gut system. When the system works the way it’s meant to, the health of your pup’s whole body is improved. You can also use bone broth for this same purpose, and it’s easy to make. You can find an easy recipe here. What happens to humans if we eat nothing but vegetables all the time, but then go and eat a huge greasy burger? Talk about a stomach ache! The same thing happens to our pups. They eat nothing but the same thing every day and then get into something different. And the gut pays the price Which, let’s face it, is going to happen. You can add variety by feeding vegetables and fruit. And by switching up the protein sources on a regular basis. And don’t forget to add in different organs meats to ensure that your dog is getting a wide variety of nutrients too. This is made even worse when the same food each and every day is kibble. Diarrhea and vomiting are the common results. What if we fed them a variety of foods instead? If pups are used to variety, then those random bites of mystery meat are not likely to upset them as much. There is another advantage to variety as well, for both humans and pups. It provides our bodies with the widest range of nutrients and reduces the risk of an imbalanced diet. I add variety in several ways. First, I recommend feeding real food to dogs, rather than kibble. You can add variety by feeding vegetables and fruit. And by switching up the protein sources on a regular basis. And don’t forget to add in different organs meats to ensure that your dog is getting a wide variety of nutrients too. I avoid grains no matter what I’m feeding. If there are other ingredients your dog’s allergic to, obviously avoid those as well. 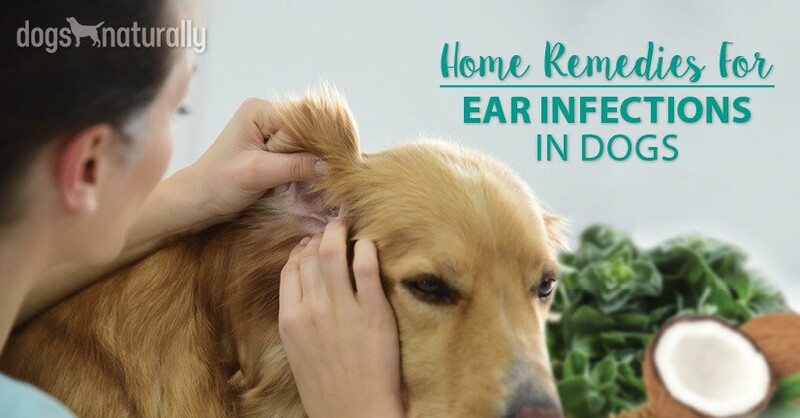 The more variety your dog is eating, the less those unusual bites will cause problems. Remember: an animal has to be exposed to something to be allergic to it. Allergies usually come from something they’ve been eating for a long time. So just because you haven’t changed their food doesn’t mean they don’t have a food allergy! In fact, they may be more likely to have one! There are several other things that we know directly impact gut health aside from food. One of the best ways to protect and restore gut health is to avoid the things that cause problems. Antibiotics. When taken by mouth, antibiotics kill off the bad bacteria. But they also kill much of the good bacteria in the gut (and everywhere else). And that’s true even if they’re just used on the skin. Remember, the health of the bacteria in the gut directly impacts the health of the bacteria on the skin. Therefore, if you have to give your pup an antibiotic, make sure you give a probiotic at the same time. Non-steroidal anti-inflammatories (NSAIDs). We also know that many of the medications given for pain and inflammation can affect the gut. For example, the most common side effects of most (NSAIDs) are diarrhea and vomiting. However, we’ve learned that the effect on the gut is more dramatic than that. NSAIDs can actually contribute to Leaky Gut Syndrome. So, it’s worth considering other options for long-term pain control. Options I like and use regularly include acupuncture, chiropractic, herbal care, and diet changes to reduce inflammation (like cutting those grains!). Stress. Stress also affects the gut, no matter the source. Unfortunately, stress control is tricky in dogs since they don’t understand what’s going on. Try to minimize it as much as possible. Luckily, there are some products that can help. Frankincense and lavender essential oils are relaxing for some dogs. You can either diffuse or dilute them. Calming supplements contain melatonin, chamomile, and tryptophan, as well as other soothing ingredients. Some dogs respond well to anxiety vests. Pheromones are natural hormones dogs secrete that can help to reduce anxiety. CBD oil is also an excellent option for reducing stress (but make sure to get the dog versions that don’t contain THC). Anxiety can be frustrating, without a doubt. But if your pup is stressed enough to show signs of intestinal upset, then you have to address it. First of all, if your pup has ongoing problems, it might be time to speak to a veterinary professional. You can see if there’s a holistic vet in your area. Check the American Holistic Veterinary Medical Association website. Next, remember, these problems have usually been going on for a while. Therefore, it takes time to improve. Boomer took two years to recover completely. The longer the problem has been going on, the longer it will take to heal. Weeks to months, sometimes more. These tips work, but you CANNOT expect overnight results! You want to keep your pup as healthy as possible throughout the course of his hopefully very long life. You want him to be able to thrive despite everything life throws at him. And so much of health starts at the gut level. The healthier you can keep his gut, the healthier you can keep his entire body. Healthy pups start with healthy guts.